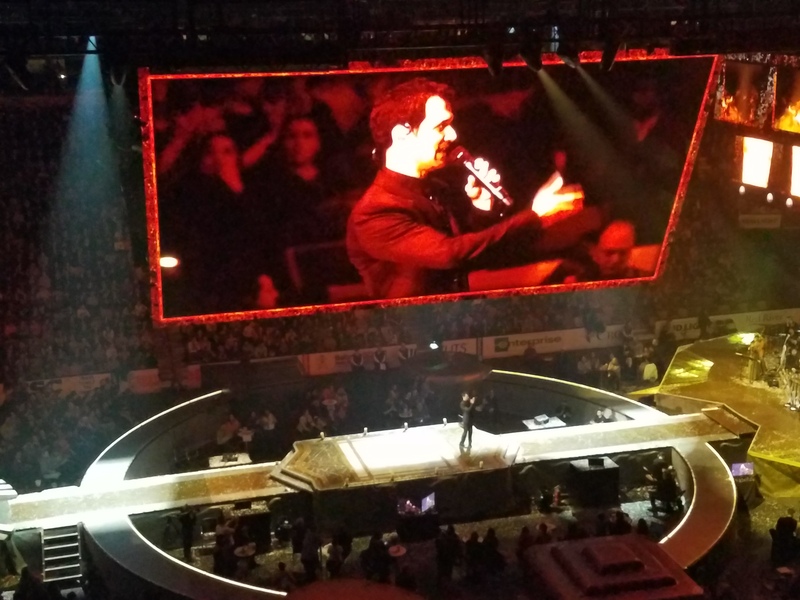 Back on March 6th, Kelly and I attended a very special sort of concert at the Garden. As anyone who knows us reasonably well already knows, we are really big fans of George R.R. Martin’s A Song of Ice and Fire book series and the TV show based on it, Game of Thrones. 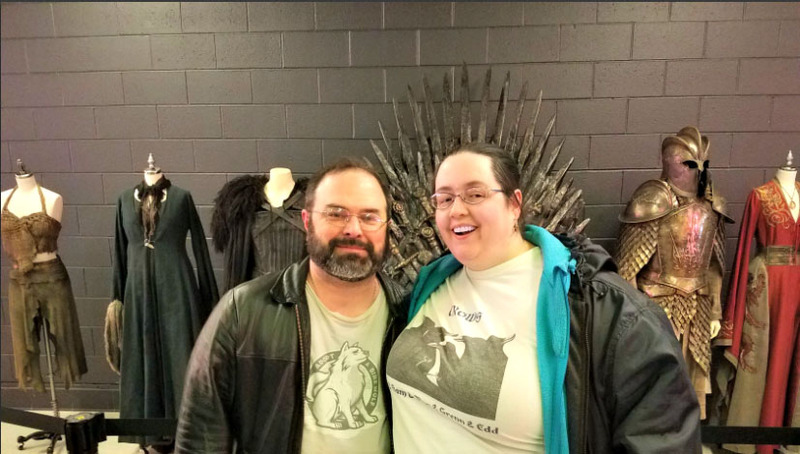 Thanks to one of her coworkers, we got two tickets to the Game of Thrones Live Concert Experience. It was by far the most enjoyable concert experience I have ever had. It was some three hours long, and I never got tired or bored. It was simply amazing. 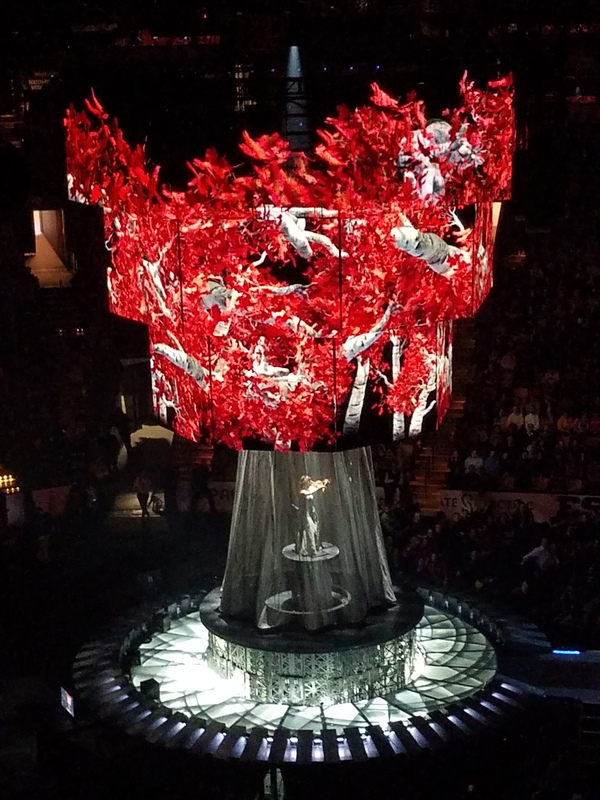 There were an array of video screens in addition to all the audio. As we were coming into the Garden, we noticed a lot of things going on in the hallways leading to the arena. There were a lot of people waiting in line to get their photos taken in front of a green screen. At the time we had no idea what it was for. They also had a display of original costumes and props from the movie. I wish I had gotten pictures of the Jon Snow/Northman outfit. Oh well. 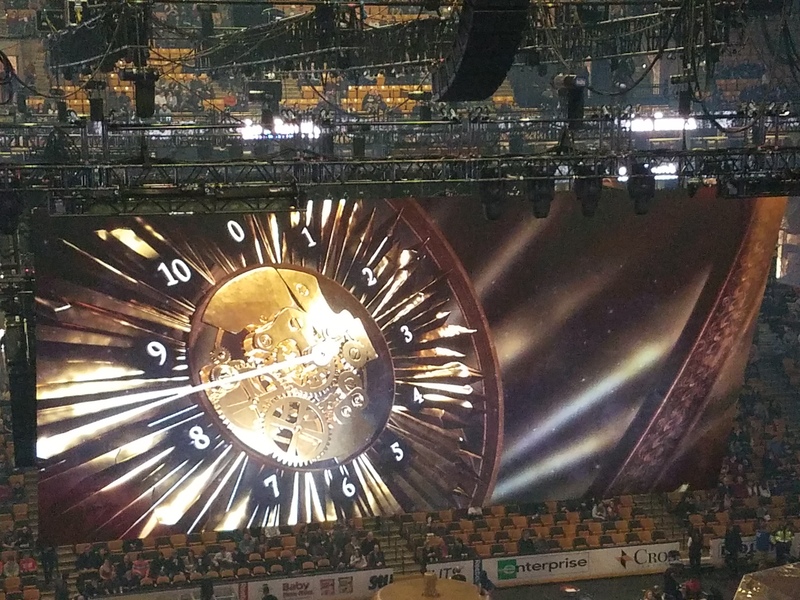 As the time got closer to the scheduled start of the concert, a giant countdown timer of sorts appeared on the main screen. The concert was just amazing in so many ways. I couldn’t believe how much they managed to cram into that space. I think one of my favorite parts was when they were playing some of the theme music from the North, and suddenly a weirwood tree formed, and then dropped its leaves. I think GRRM really knew what he was doing when he created these trees. They are one of my favorite things from the show. The show had an intermission, and I used it to get down closer to the stage, where I found myself one of the red leaves that came down from the weirwood tree. I kept it as a souvenir. The presentation of all the music was just amazing. 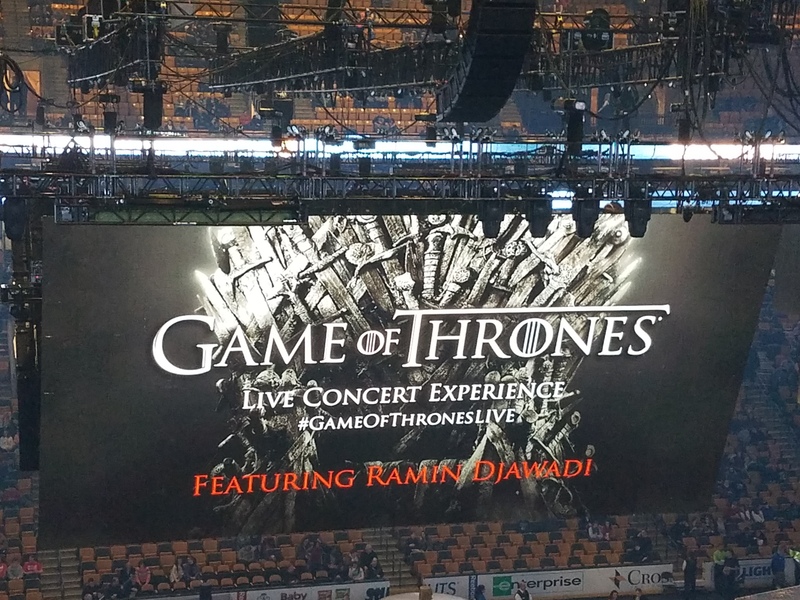 I did not know that the composer, Ramin Djawadi, came to Boston as a young man to attend Berklee College of Music. But he spoke of that, and how this was the first time he had returned to Boston since he graduated almost 20 years earlier. This guy has some serious talent, and yet seems to be quite approachable, friendly, and gracious. Anyway, if you have the chance, you should go, even if you have not seen Game of Thrones, because I bet this show will make you want to watch it. It’s just that good. And if you are a fan of the show, you should definitely go see it.